Crib Toddler Quilt- 50" x 50"
Quick and easy project-You will fall in love with this playful and fun design and want to make a quilt in every size. 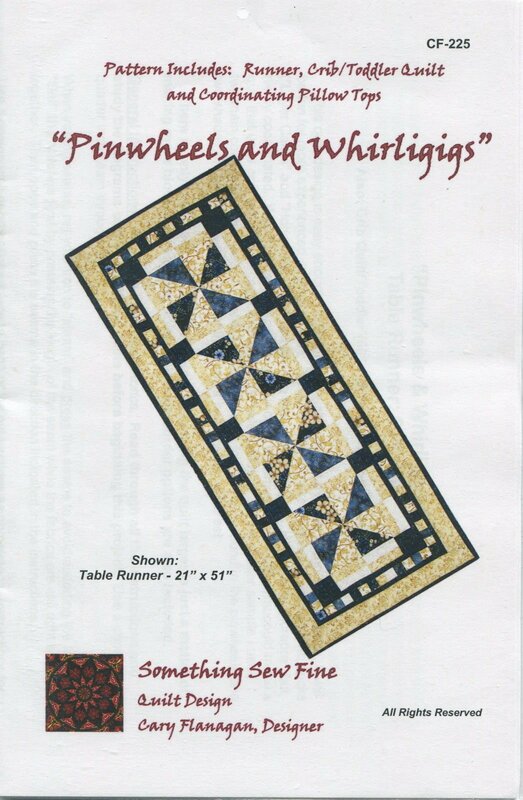 Pattern includes instructions and diagrams for a table runner, a crib or toddler quilt and two sizes of coordinating pillow tops. Great for "Layer Cakes" and "Honey Buns."